Sometimes it is necessary to put restrictions on users, if you have a computer to the public or used by many people. For example a library, we can not allow anyone to put their taste or change certain settings. In your Gnome desktop environment there is a tool called Pessulus that will control these profits that can manage users. 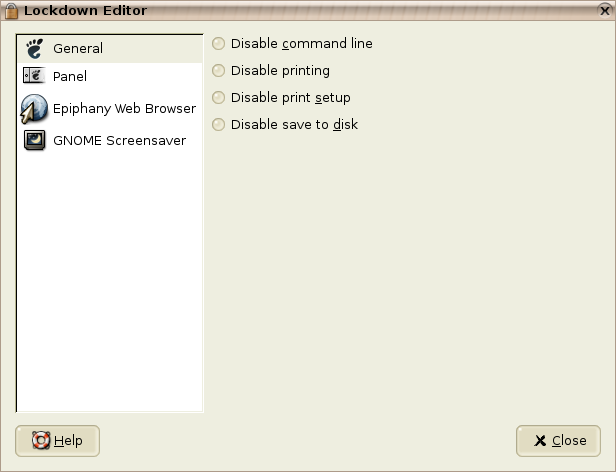 General, allowing us to configure access to the command line, printers and the ability to save files. Panel, where you can block access to applets and controls such as blocking off and restart the computer. 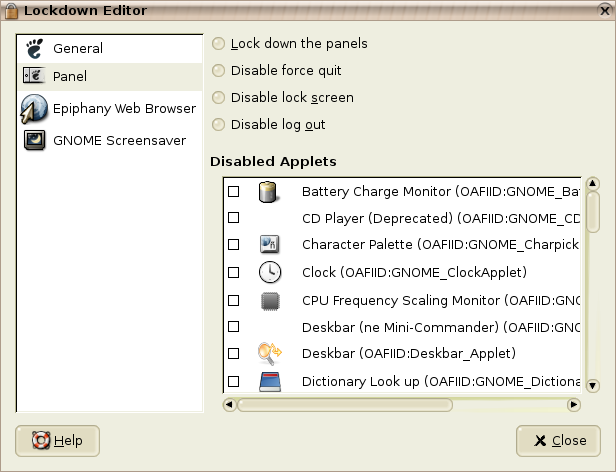 Gnome Desktop, which controls user sessions. 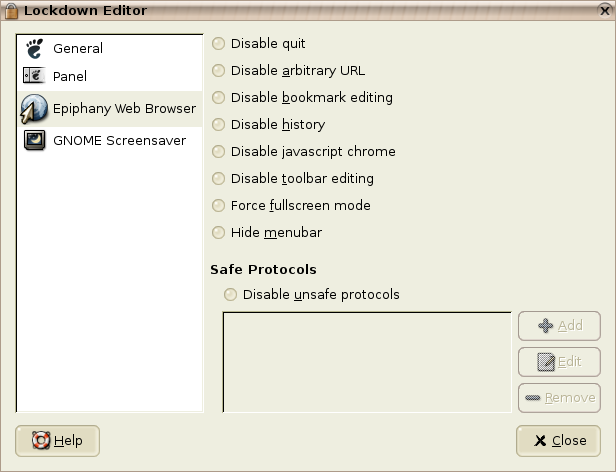 From this application you can control the vast majority of the options for Gnome. So I installed Pessulus on Ubuntu 8.04 using Synaptic Package Manager – no errors reported. I see the files in /usr/share/pyshared/Pessulus. But … how do you run it? Your post didn’t explain that, nothing got installed in the Ubuntu/Applications Menu, and the documentation references a non-existent INSTALL file.